Ah, spring. There&apos;s just something in the air as the weather starts to warm up... and this spring in particular, what&apos;s in the air are more direct flights to Panama City Beach than ever before! While Delta has long connected Panama City Beach with direct flights to Atlanta, ever since the new Northwest Florida Beaches International Airport opened its doors, more flights from more destinations have been arriving. 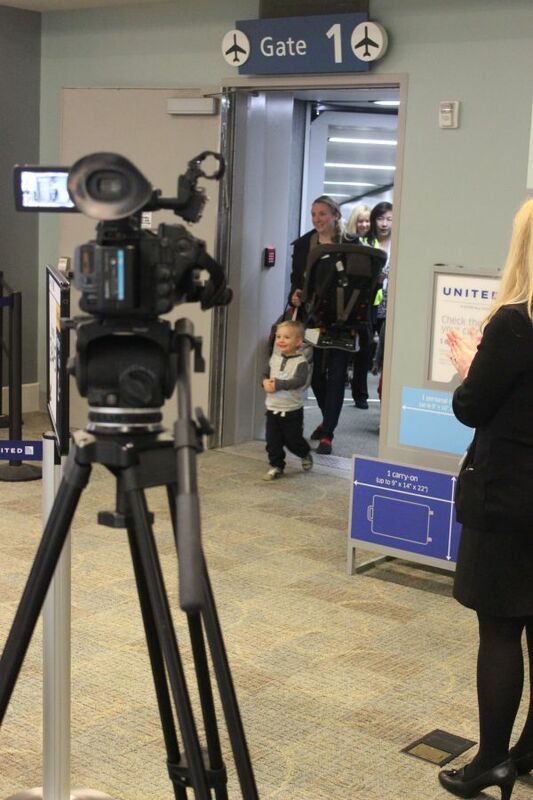 That trend is really taking off this March, as United Airlines began their direct flights connecting ECP to Houston Intercontinental on March 5, with a water cannon salute greeting the first flight to land, and welcome gift baskets ready for the passengers on the first arriving and departing flights. On Saturday (March 7) Southwest Airlines will welcome their first direct flights to and from Dallas Love Field (DAL). Southwest already offers direct flights from Panama City Beach to Baltimore, St. Louis, Houston, and Nashville. 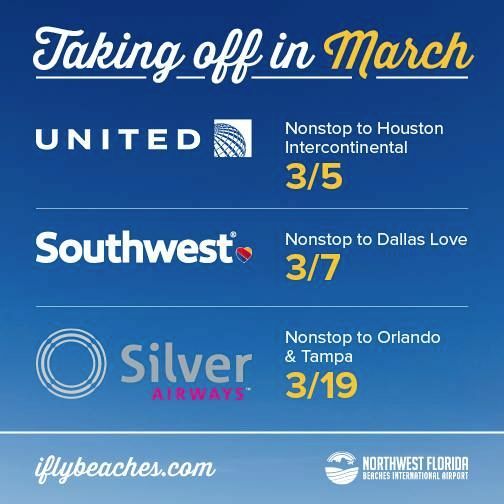 Then on March 19, newcomer Silver Airways will begin offering direct flights to connect Panama City Beach with Orlando and Tampa! This makes it easier than ever for visitors to combine the wonders of Disney with the world famous beaches of Panama City Beach, or for Panama City Beach residents to fly down to catch a Tampa Bay Buccaneers game. Spring in Panama City Beach - There really is something in the air.